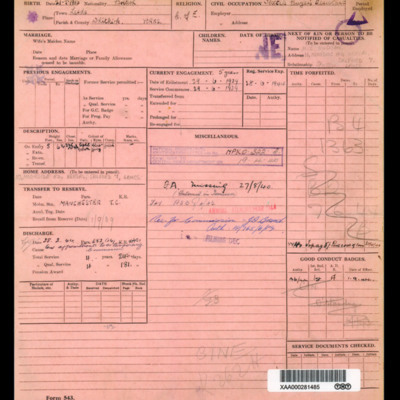 Contains personal information and postings/locations from joining to discharge on 28 February 1947. Notes that he was reported missing on 27 August 1940, was subsequently interned in Tunisia. Notes he was recommended for commission. Letter from David Boldy to his mother. Explains that he was staying at Bridgenorth for that week, whilst they rush the course. His crew had a rivalry with another the pilots at Uxbridge, which integrated various pranks. 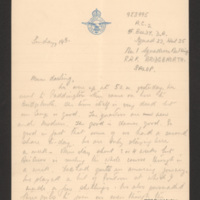 Letter from David Boldy to his father about being in the Royal Air Force, with details of training at Uxbridge and at RAF Bridgnorth. 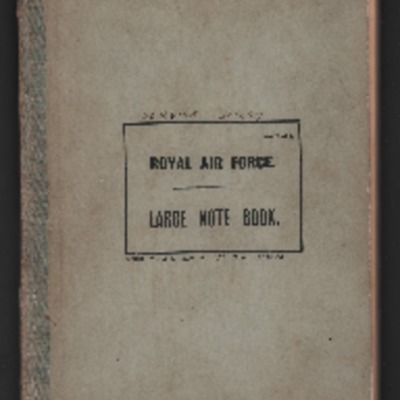 He bought a silver cigarette case with Royal Air Force wings.